We feel fortunate to live, ride, and learn in the mountains. As we review 2013 and look forward to 2014, our surroundings provide an apt metaphor for the experiences we’ve had this year. Riding up mountains can be tough, and college life is often challenging. Descending them can be exhilarating, but you never really know what’s around the next blind corner, which is part of the thrill. There were peaks and valleys throughout the year, but without valleys there can’t be peaks. We are thankful for every success, every learning moment. We choose to focus on this year’s positives, and we feel blessed that there were so many. We thank all of our sponsors and supporters for giving us the opportunity to immerse ourselves in such a challenging sport in such an amazing place. Below is a look back at our 2013 through pictures. We hope your 2014 is all that you want it to be. Happy New Year! 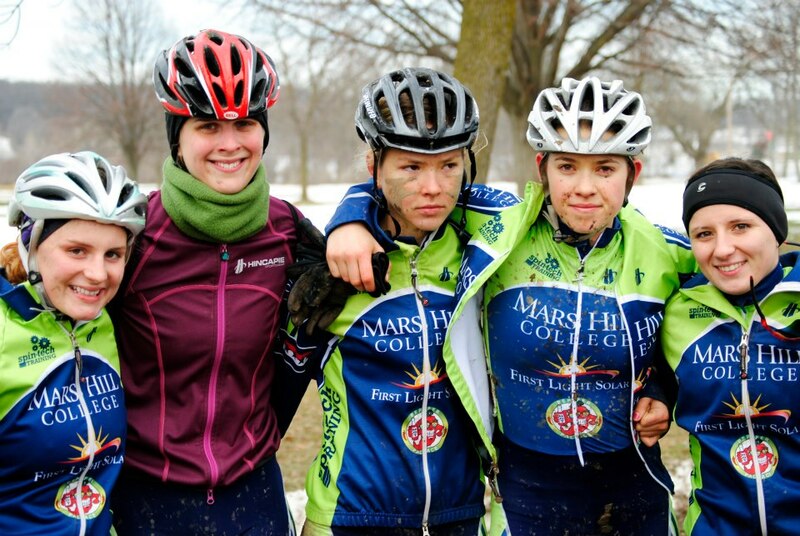 The year started with CX Nats in Wisconsin where the women placed one rider on the podium and three riders in the top 10. The men landed on the podium too, and the team tied for first overall, ending up second after a tie breaker. 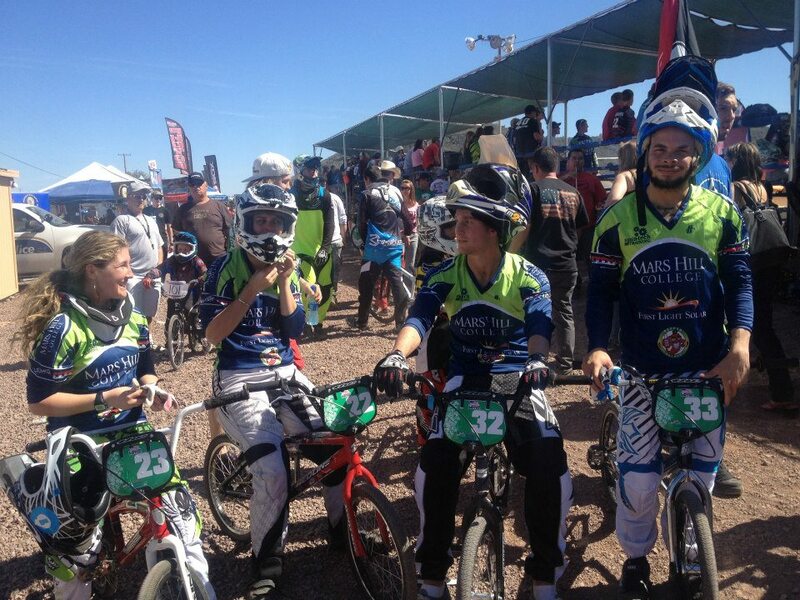 Competing in our first BMX season, we took a team to BMX Nats in Phoenix, where Alan Hudson made the finals and was the top D2 rider in the nation. 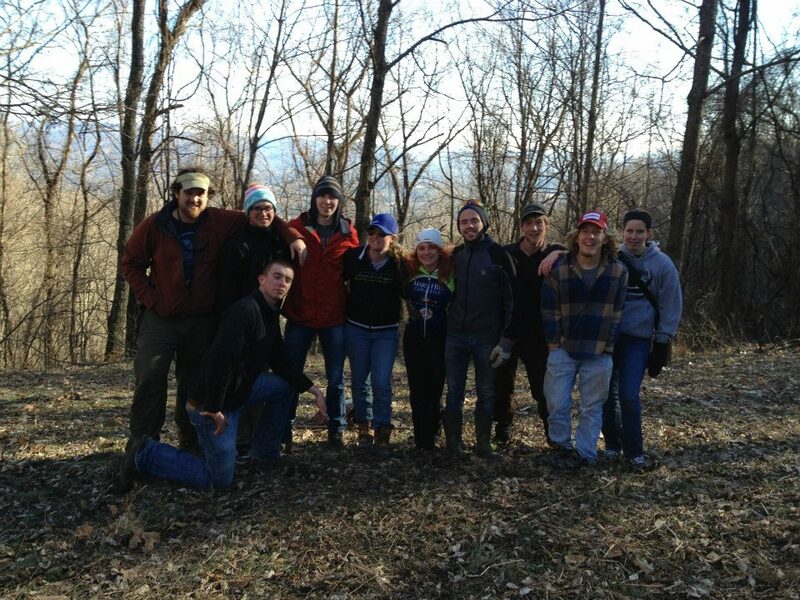 We helped the Outdoor Center and Bailey Mountain Foundation build new trails on Bailey Mountain, which is adjacent to campus and a wonderful new resource for the entire community. 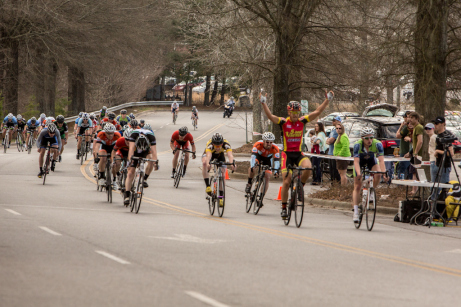 The finish of men’s race at the Happy St Paddy’s Day Criterium, won by pro Bobby Sweeting with Mait a close second, which we put on at the Biltmore Square Mall in Asheville. Bike polo! 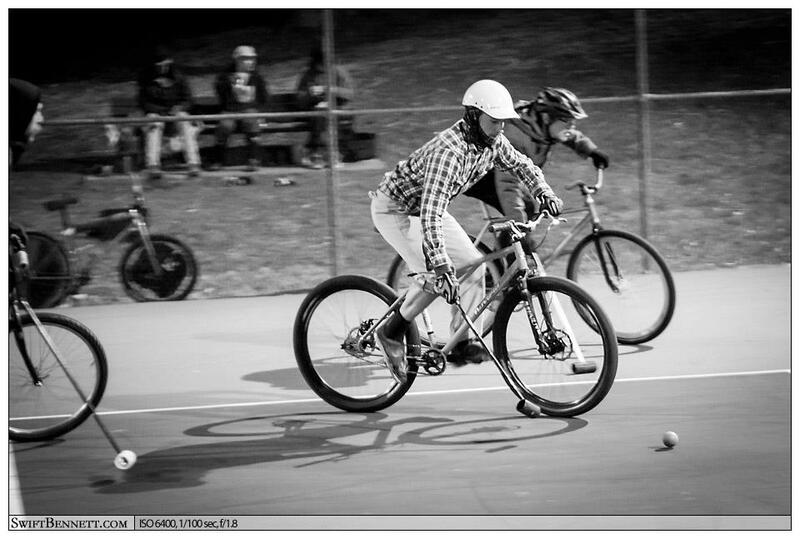 As part of our spring film fest, we showed a film on bike polo and another on alleycat racing. Not our usual cycling disciplines but sure fun to watch! 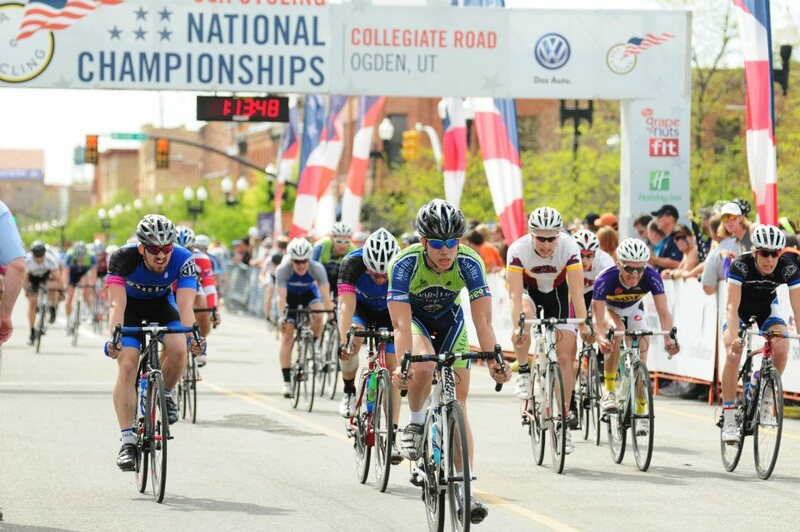 More success at Road Nats in Ogden, UT. Here Jake finished on the crit podium, catching the break in the last corner and oh so close to winning. Podiums in the women’s TTT and team omnium too. In 2015 and 2016, Road Nats comes to Asheville, and we’re proud to have been part of the bid process and be the host school. 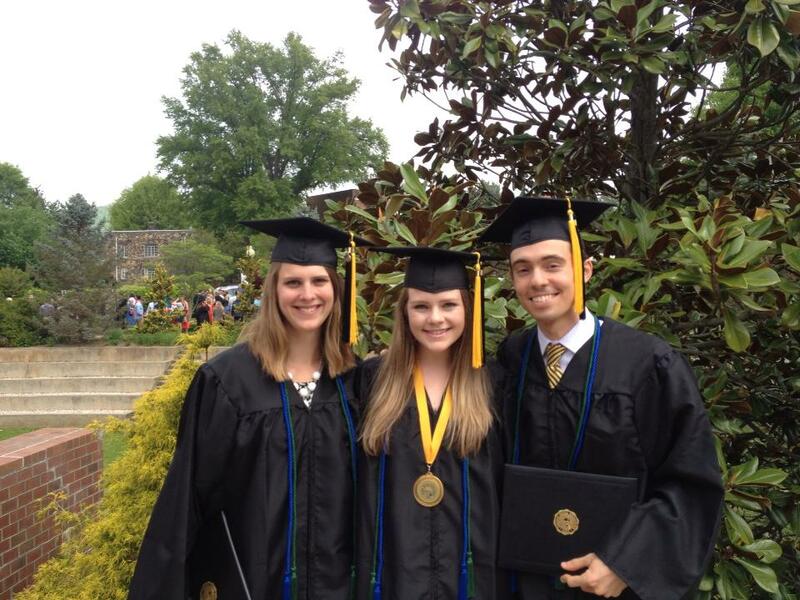 Three of the seven riders who graduated in 2013. Our most ever. What it’s all about! Our summer cycling camp for junior racers was a lot of fun. Our ascent of Mt Mitchell, the highest peak in the eastern US, was a highlight. 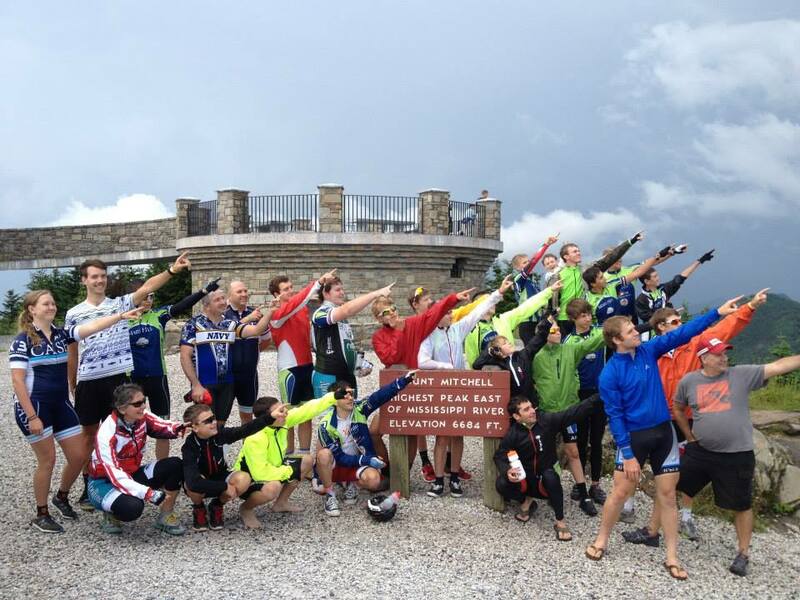 Mars Hill team riders were counselors for the week-long camp. 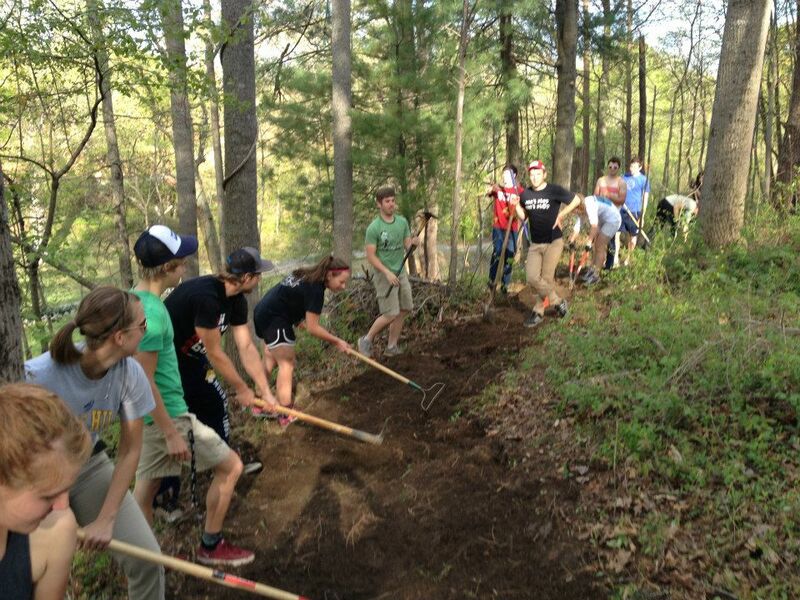 Building trails at Kolo Bike Park in Asheville, where we would host an SECCC mountain bike race in October. 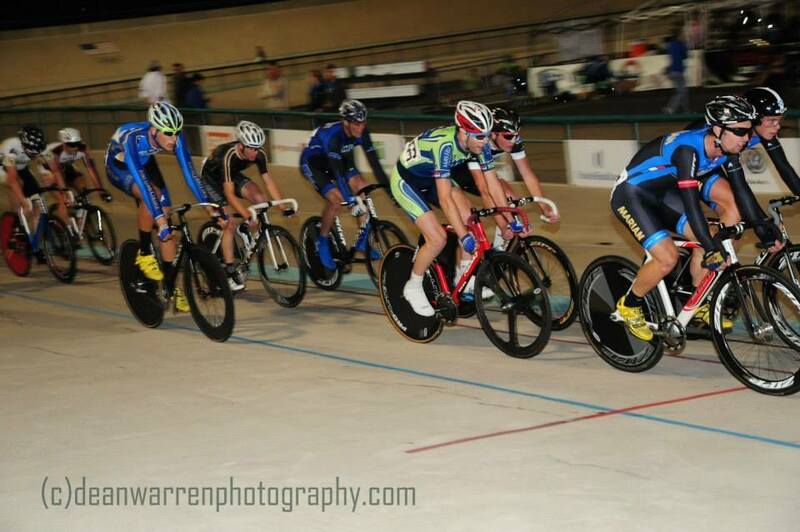 Mauro (pictured here) and John competed at Track Nats in Colorado Springs, showing a lot of promise for freshmen. Already looking forward to next year in Indianapolis where we plan to take a larger team. 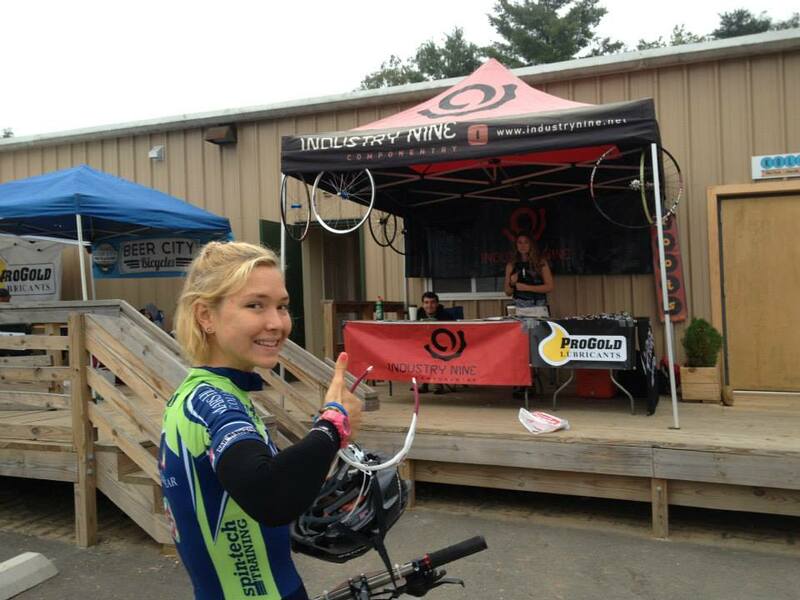 At our home SECCC mountain bike race at Kolo Bike Park, where we also raffled off a set of brand new Industry Nine wheels. Lots of compliments on a flowy but challenging course. Snow fell at Beech Mountain just in time for Mtb Nats. Here Addy races to a podium in the short track. The team earned four more podiums in the men’s cross country, short track, and individual omnium, with the team landing on the team omnium podium too. We competed in all five collegiate national championships in 2013. We held our second film fest in fall. 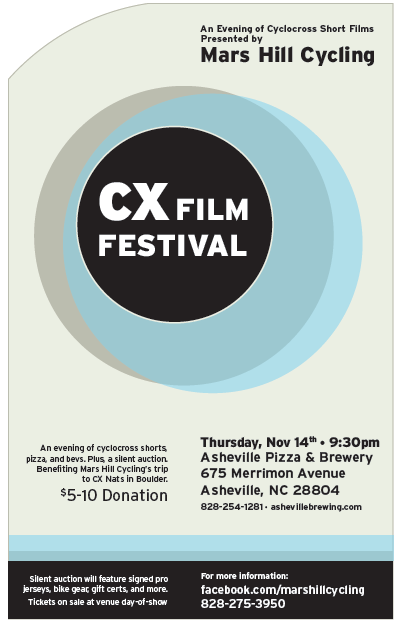 This one focused on cyclocross and helped raise money for the team’s trip to CX Nats in Boulder, which will be our first race of 2014. 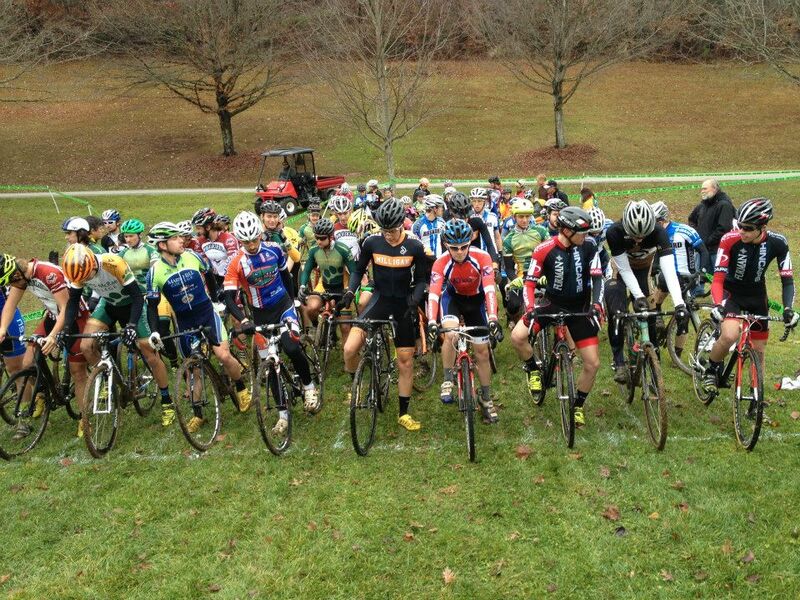 The start of the men’s SECCC CX Championships, which we hosted on campus. Winners from last year’s CX Nats in both D1 and D2 were on the line along with several other podium finishers. Very competitive field. 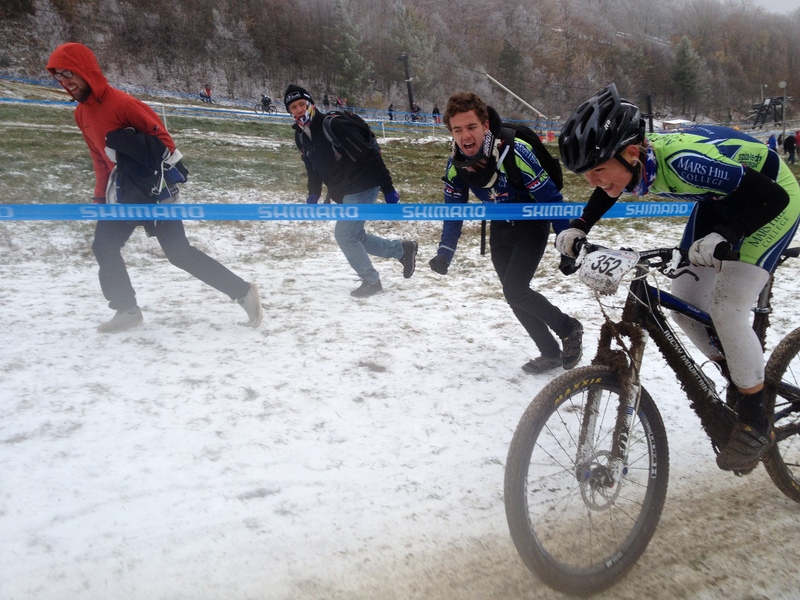 We’ll kick off 2014 with CX Nats in Boulder on January 10-12. See you there and Happy New Year!